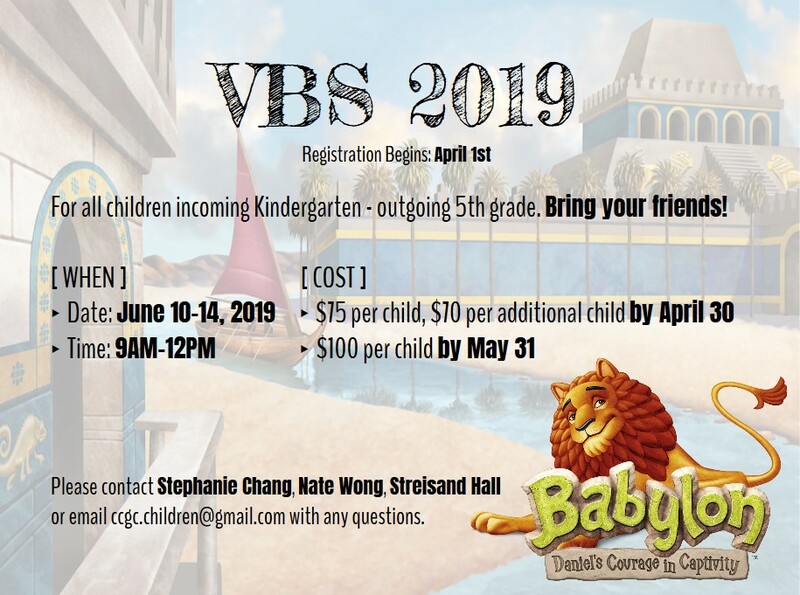 The VBS will be held the week of June 10-14 from 9am to noon. You can register online by clicking the above link. Please contact Stephanie Chang, Nate wong, Streisand Hall or email ccgc.children@gmail.com with any questions.